It's the first day of June and that means it's time for a new challenge here at the Die Cut Divas. 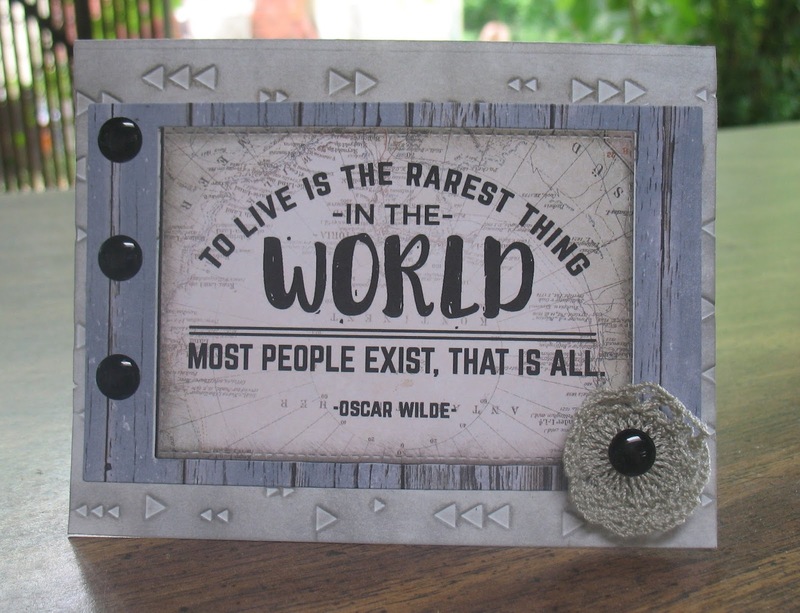 This months theme is Anything Goes and our fantastic sponsor is Kaisercraft! Arlene went a little crazy over the Kaisercraft paper. 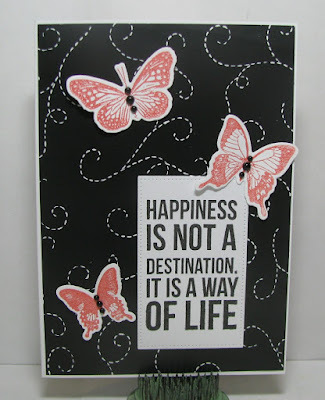 Her favorite card is made with some gorgeous blue gray wood grain cardstock, a fantastic quote and Triangles embossing folder. The crocheted doily flower has been in her box for years. Not anymore. See Arlene at A Bit of This and That. 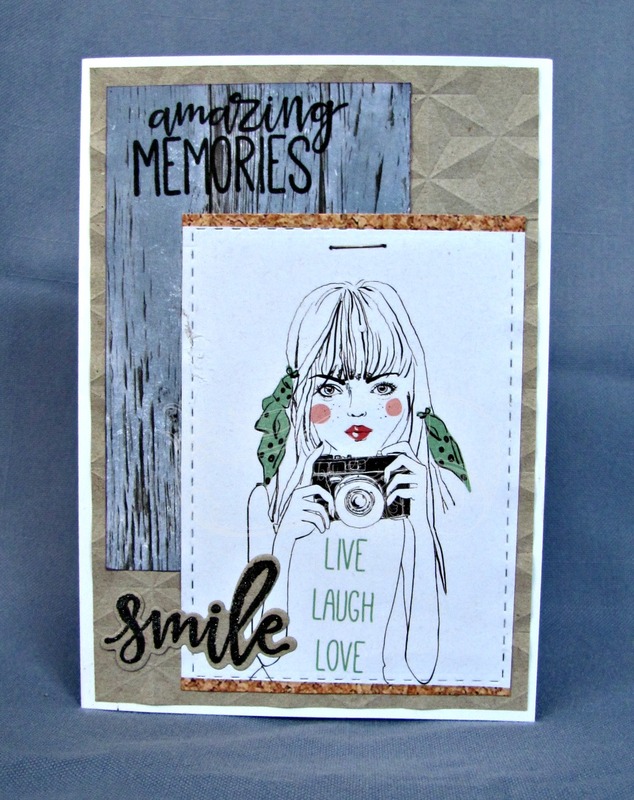 Cindy layered up a few things on top of an embossed panel. 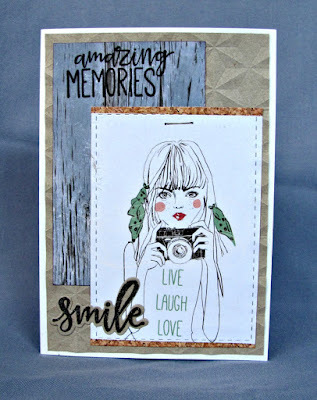 Check her blog: Escape To Stamping for more details. 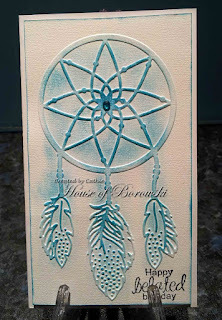 Cathie also choose to showcase one of Kaisercraft's new embossing folders with some colour added afterwards. 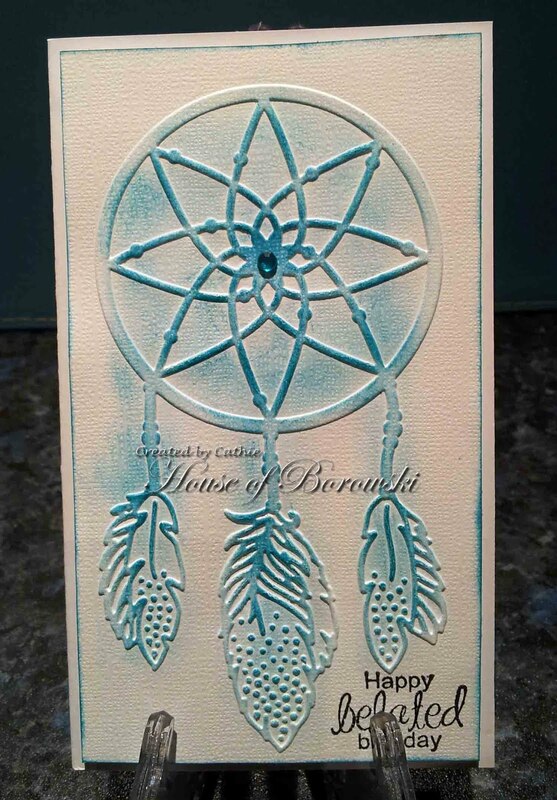 Check out her blog House of Borowski for more details. Lovely DT works and fab inspirations. Great inspiration from the Design Team! Arlene, I love your Oscar Wilde quote! Thank you for another challenge - thanks DT for your lovely work as well - have a blessed week! Fabulous Design Team inspiration! Beautiful projects.